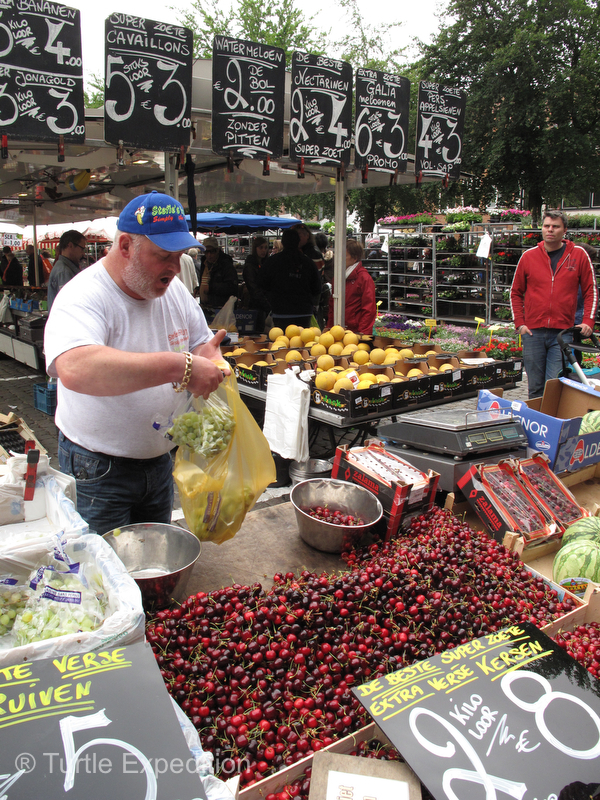 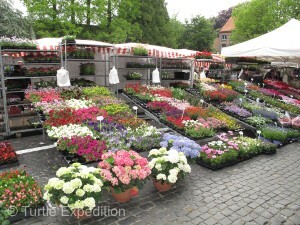 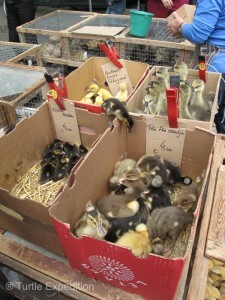 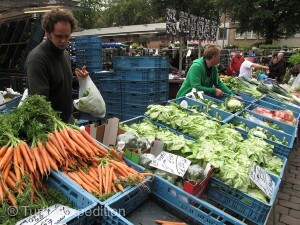 It was Saturday morning in Brugge, and being market junkies, we couldn’t miss the huge open market in the Markt Square. Aside from a large selection of fresh produce and flowers, there was an interesting assortment of live animals, specialized tools and clothing. 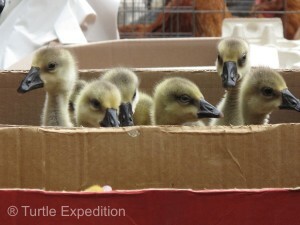 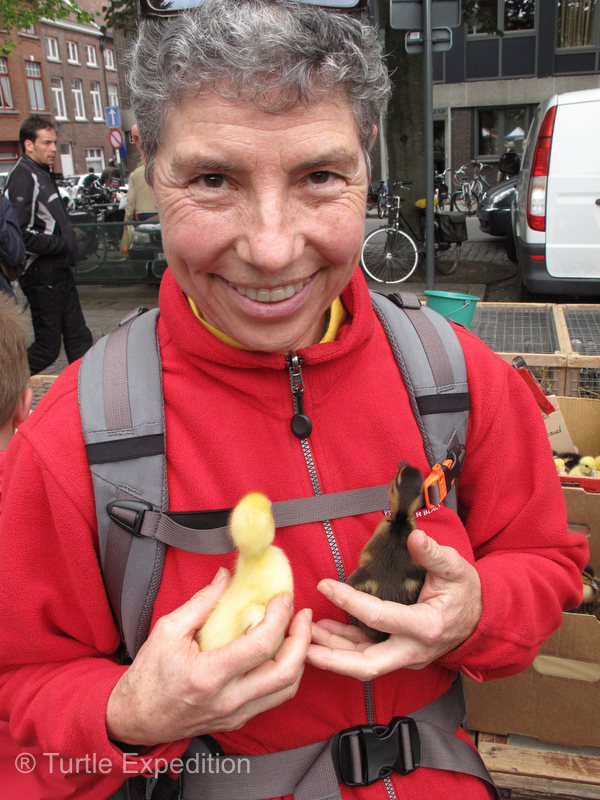 Since we were not really traveling in the normal mode, we couldn’t buy much fresh food, but we almost ended up with a couple of fluffy little ducklings. 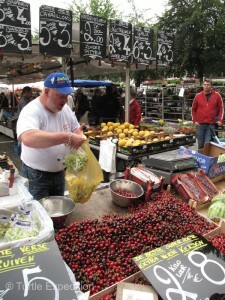 The Saturday morning market offered a huge selection of fresh produce and flowers. We almost ended up with a couple of fluffy little ducklings. 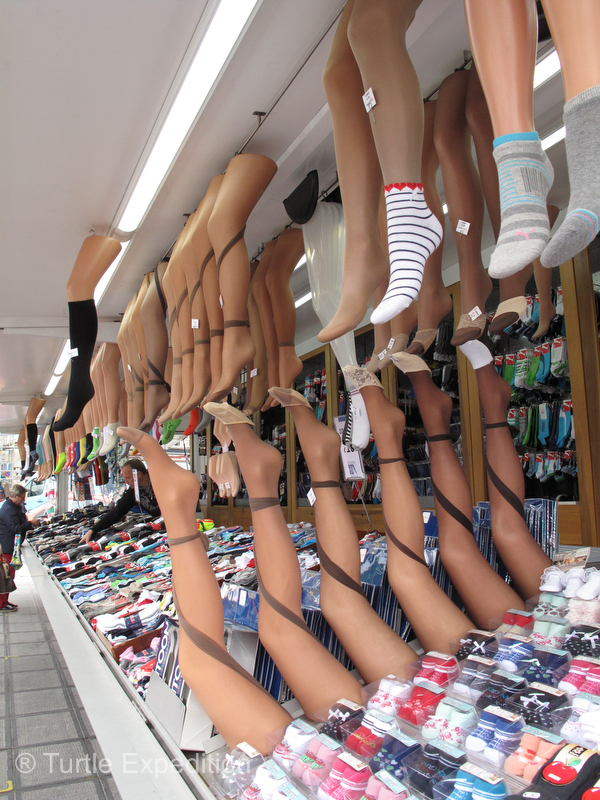 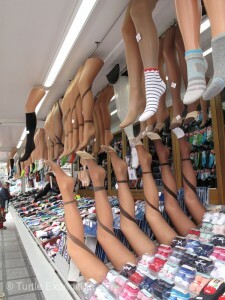 Wonder what they’re selling here? 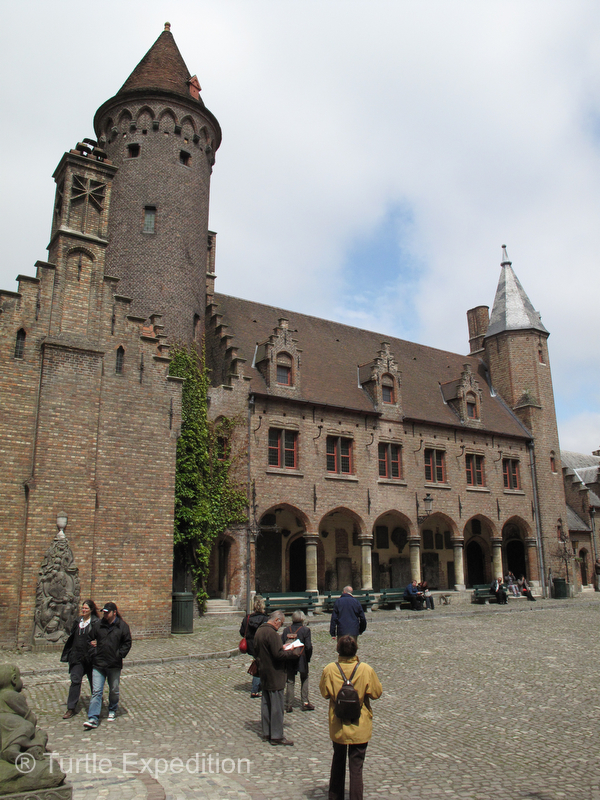 The other big square in town is the Burg, home to Belgium’s oldest City Hall as well as the Basilica of the Holy Blood were a few coagulated drops of Christ’s blood is said to be stored. 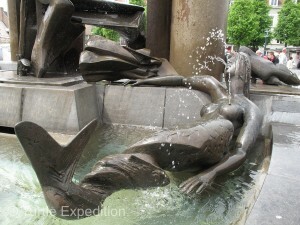 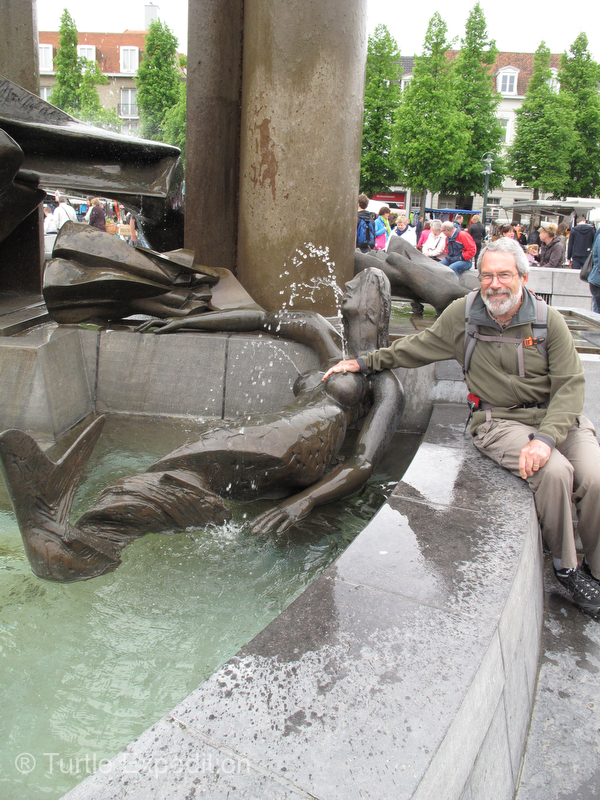 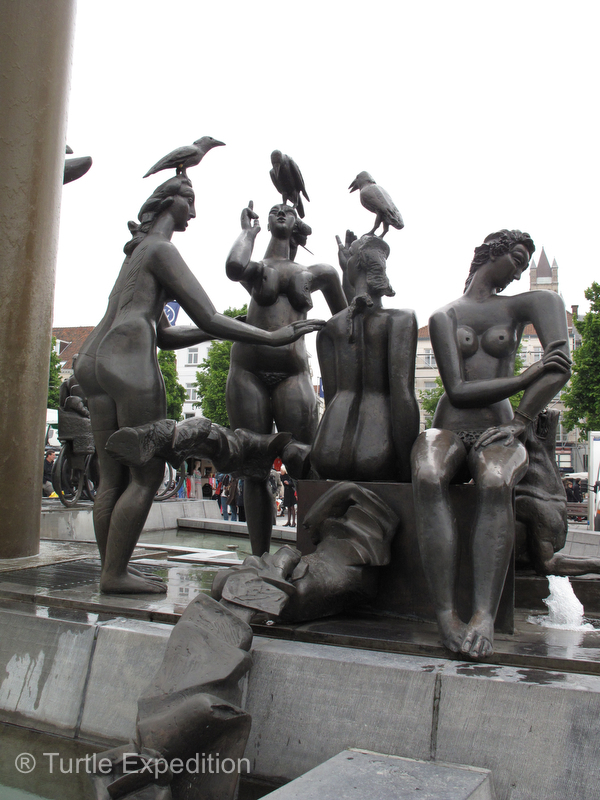 The Markt & Burg squares are the medieval cores of town, but some of the creative fountains and statues were quite modern to say the least. As we had discovered in London, one of the best ways to see the town was by boat. Brugge is circled and criss-crossed by canals. 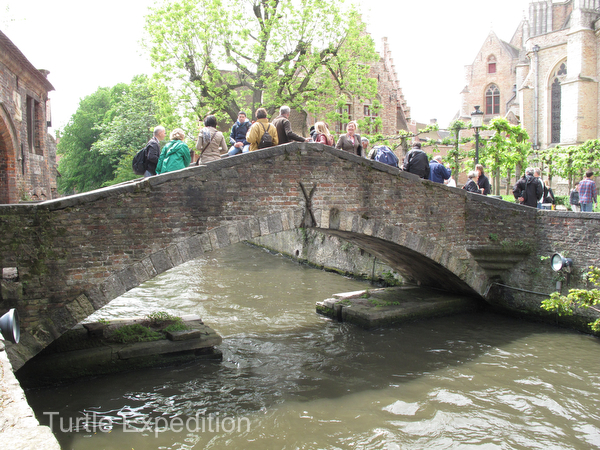 Bridges were built before cars were invented and since the city is no longer an important shipping port, the beautiful stone causeways serve their purpose, mostly for pedestrians. 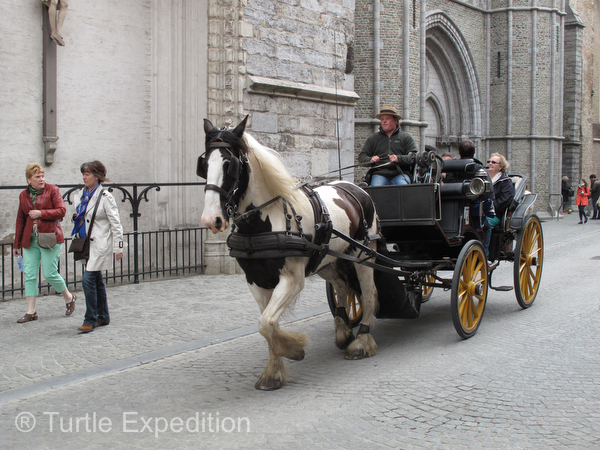 Beautiful horses pulled carriages at a fast clip around town, and they didn’t know all the traffic laws. The Burg Square is one of two medieval cores in town. The beautiful stone causeways serve their purpose, mostly for pedestrians. 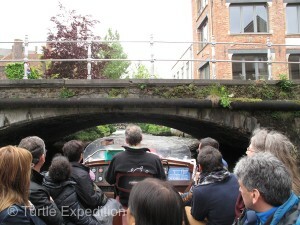 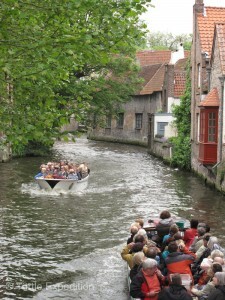 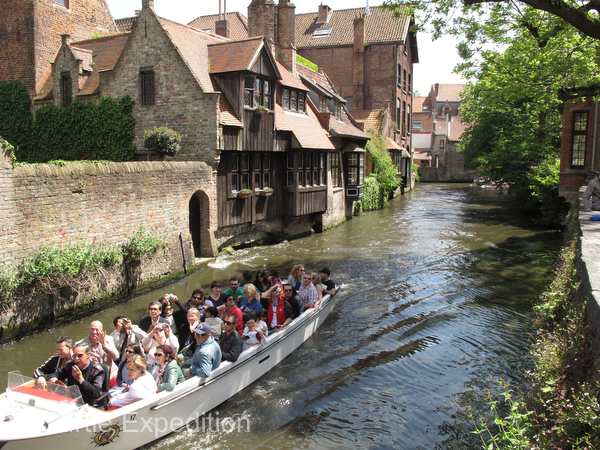 One of the best ways to see the town was by tour boat along the canals.